When you buy a new phone it can be inexplicably awkward just to get it to talk to your existing Bluetooth devices. For no good reason, tech from different companies sometimes just refuses to interact. Imagine, then, buying two all-but defunct car companies in the same year and expecting new staff to gear up and collaborate on not one, but three brand new concept supercars, all due for reveals within 12 months. That kind of time pressure is enough to make an engineer take a 365-day lunch break. 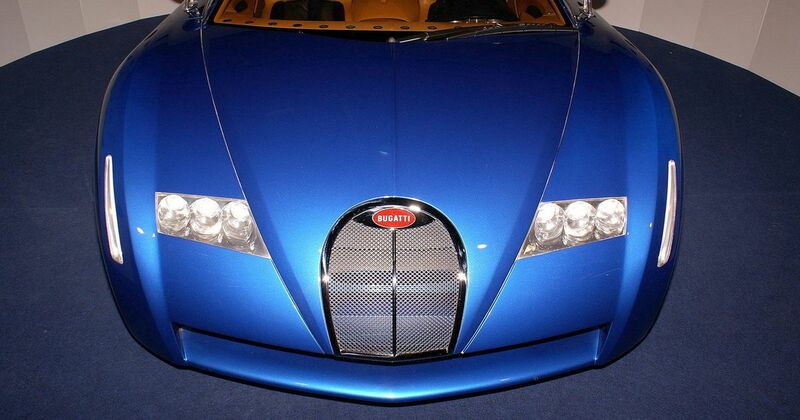 Bugatti had been bought by Volkswagen in the summer of 1998, three years after shutting its troubled doors. It was reduced to nothing more than a prestigious old name with a fresh memory of the brilliant but commercially unsuccessful EB110 supercar. The German giant apparently paid just $50 million for the old French brand, although we can’t be sure: VW’s annual financial reports from 1998 are reportedly, ahem, missing from the public sphere. It might have had something to do with the fact that VW was on a bit of a spending spree that year. As well as Bugatti it also bought Bentley, Rolls-Royce (after which came a bitter dispute with BMW) and Lamborghini. It was quite the year for its accountants. Not willing to dilly-dally with its new and mightily impressive catalogue of glorious but faded old names, Volkswagen started making things happen. By taking the outdated but still awesome Lamborghini Diablo platform and setting designers to work on what a Bugatti should look like for the 21st century, it came up with a new family of luxury GTs. First came the EB118, within months. It debuted at the Paris Motor Show that October and set out design cues that endure to this day. Then there was the leviathan EB218 in early 1999, whose 5.4-metre four-door body was a preview of what Bentley would eventually do with the Flying Spur, albeit in ethos rather than styling. Then came the jewel in Bugatti’s newly forged crown: the 18/3 Chiron concept. 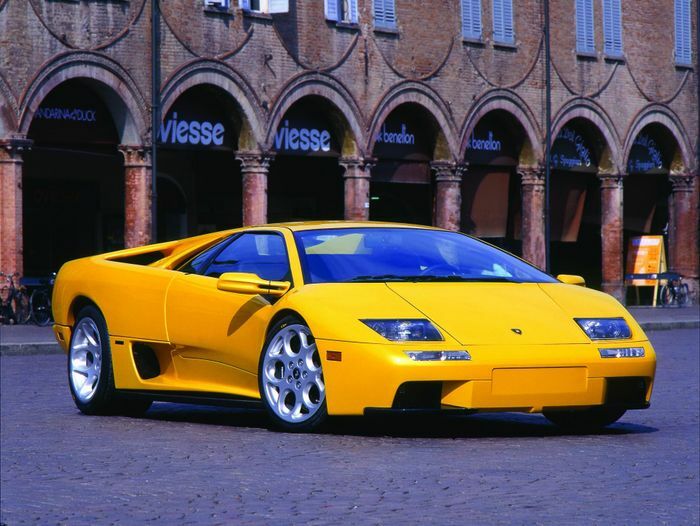 Like the former two, it borrowed the Lamborghini Diablo VT as its exotic base. Lamborghini most likely had a few lying around following its late-1990s sales plunge. 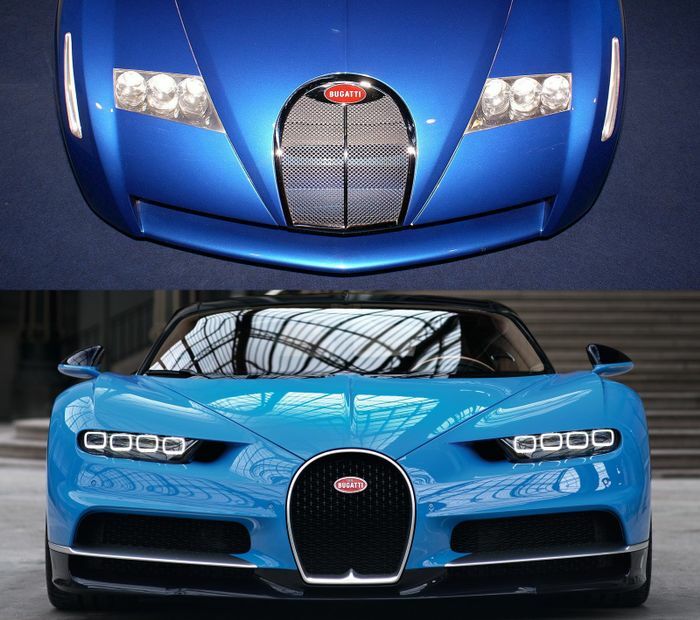 Named partly after famous Bugatti racing driver Louis Chiron, who won many major victories for the brand, it also took inspiration from its outrageous concept engine: a W18. If you’re familiar with the VW Group’s current W-configuration engine you’ll know it uses two banks of cylinders arranged in a staggered formation not unlike that of the old VR units. Clearly you can’t do that with nine cylinders per bank; it’d be too tough to balance. The 18/3 Chiron’s engine was wild. It had three banks of six cylinders apiece. Angled at 60 degrees between each bank, it was a true W shape. The 6.3-litre, 72-valve monster fitted neatly(ish) into the mid-engined Diablo platform used to such dramatic effect by the Racing Blue 18/3 Chiron. It actually slotted in on its side, with one cylinder bank pointing up and left, the middle one up and right and the right-hand bank out to the right-hand side. Built to connect to the Diablo’s four-wheel drive, it put out a fairly modest 547bhp and 390lb ft. There was simply no time – and possibly no space – to add turbochargers to the fully working and drivable concept. Unfortunately the engine never made production due to a couple of major problems. Firstly it was tall, which was bad for packaging when turbos would become essential. The only speculation we can find on the matter suggests it also refused to work reliably with gearboxes. By that time Bugatti had already claimed staggering performance figures (for 1999), including a top speed of 205mph and a 0-60mph launch in 3.5 seconds. 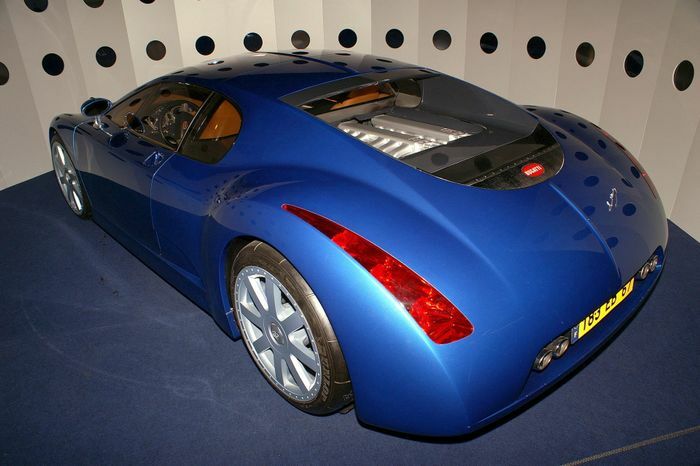 Later in 1999 it was superseded by the 18/4 Veyron concept. 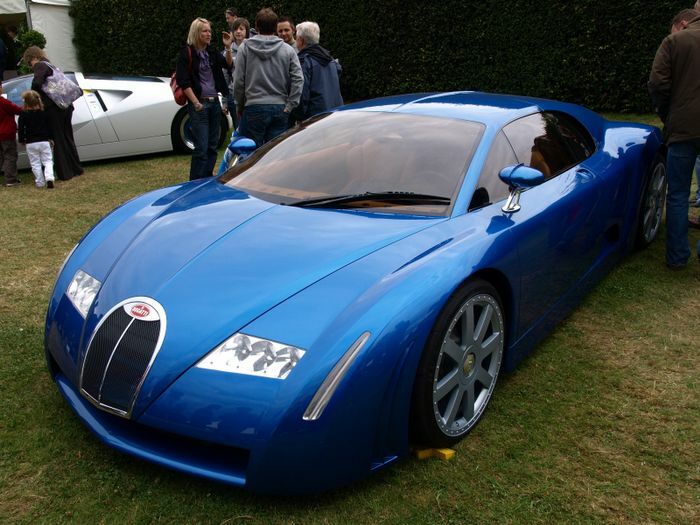 The three-bank W18 remained until 2000, when the much-improved 16/4 Veyron concept was unveiled. 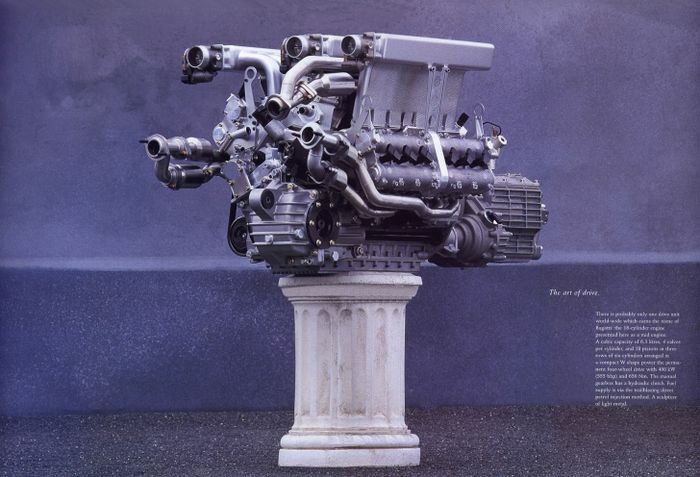 It used the now-familiar twin-bank, staggered-cylinder engine design and allowed extra space for four fairly epic turbochargers that would take power to 1001hp. Veyron stuck, became the name of VW-owned Bugatti’s first production model and wrote a definitive chapter in the history of fast cars. So, next time you can’t get your new iPhone to talk to your hands-free kit, remember that if the ruins of Lamborghini and Bugatti could work together and cobble together the 18/3 Chiron, which ultimately lead to the 1479bhp, 261mph-limited Chiron of 2016, there’s always hope.